← Meet the true rulers of the house! When I was growing up we would always get a tie for my Dad. He would wear it once and then it went into the closet to be never seen again. 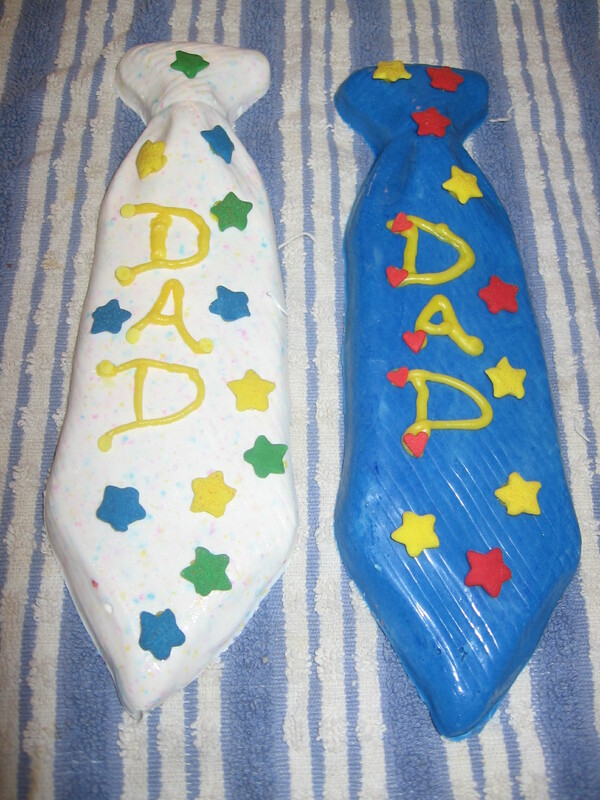 These ties were made with a mold I got off the internet and a much sweeter treat for Dad.